The rise of electric vehicles and plug-in hybrids can’t be stopped anymore. For petrolheads this will mark a terrible shift in priorities, most of them struggling to buy one or two iconic models that they think highly of, before they are simply banned. 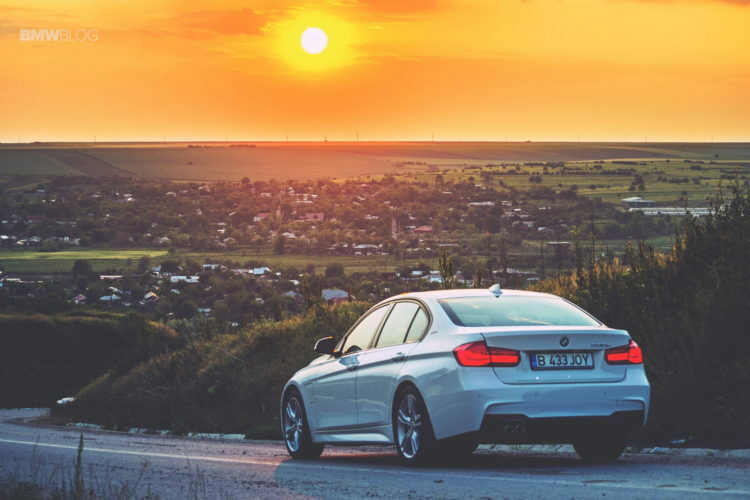 However, these new changes are also dictating at least some part of what car manufacturers have to do moving forward and that’s how models such as the BMW 330e iPerformance start to take shape. Any old-school fan of the Bavarian brand will feel reluctant towards buying any 3 Series that has an ‘e’ at the end of its name. But if we learned something from the i division, that’s to have an open mind towards hybrids and what they can bring to the table. The BMW i8, which is their baby after all, did show us that hybridization can keep both sides of the argument happy. 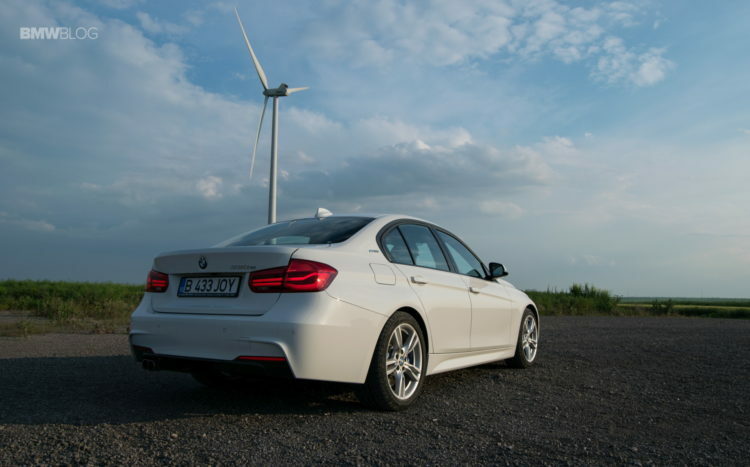 The predecessor of the 330e iPerformance was the BMW 3 Series ActiveHybrid that wasn’t a plug-in model and received rather poor reviews due to its lack of balance, heavy construction and the fact that you could only run in pure EV mode for about 2.5 miles, all of which made it a rather poor choice. If we’re to go even further back in time, we’ll find that BMW’s first electric car was based on a 1602 model and was shown at the 1972 Olympic Games in Munich, quite a long way back. Therefore, the concern about saving the environment and using electrons instead of carbon dioxides to power cars was present in Bavaria long before the 21st century and its problems. Today though, the ever increasing attention to saving the environment makes a lot of people worry about the future. BMW’s range of models, for example, has no less than four plug-in hybrids at the moment. Apart from the 330e we can also go for the X5 xDrive40e, the 740e iPerformance or the 225xe Active Tourer, all of them using similar hybrid powertrains. To this, you can also add the iconic BMW i8 as well. Of course, this doesn’t seem like enough compared to what other manufacturers are offering but for now, if feels like BMW is just testing the water, to see what works and what doesn’t. In creating these plug-in hybrids, the company used valuable information gathered from the i sub-division. All the cars on sale today with a hybrid layout are competitively priced, between their petrol and diesel counterparts, a clear indication that the Germans actually want them to sell. Furthermore, there are two main powertrain configurations being used to get things done. One of them implies using a transversely mounted engine, such is the case with the 2 Series Active Tourer and the i8. Due to the position of their respective internal combustion engines, the gearbox is very compact and forced the engineers to use the other axle to house the electric motor (front axle for the i8 and rear axle for the 225xe). This way, the power output of the two power sources can be added up, with no losses for the system. On cars with longitudinally mounted engines, as is the case of the X5, 7 Series and the 330e, the electric motor replaced the torque converter used inside the gearbox. This means that the total power output of the system isn’t exactly the sum of the two power sources. 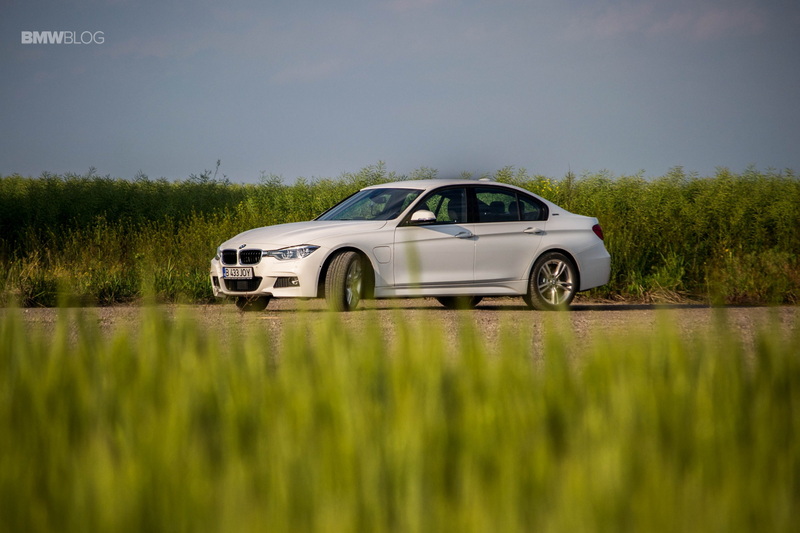 On the 330e iPerformance, for example, we have a 2-liter 4-cylinder turbocharged engine up front making 184 HP and 290 Nm (320 Nm with overboost) of torque working in tandem with an electric motor that’s good for 88 HP and 250 Nm (184 lb-ft) of torque. Added up you’d think the total output of this car would reach 272 HP and up to 570 Nm (420 lb-ft) of torque but you’d be wrong. In total, you can rely on 252 HP and only 450 Nm (332 lb-ft) of torque, at most, but that will be plenty for anything you might want to do. The car feels lively and sure footed, mostly because of the extra weight stored in the boot which is where the extra batteries are located. Though, that eats up a lot of the space you’d normally need for luggage. As a matter of fact, if you’re planning a long holiday with your family, you might have a couple of issues getting all the suitcases in the boot. It’s that small. However, the trade-off might be worth it. In exchange, you get a 7.6 kWh battery, out of which you can use 5.7 kWh because of a fail-safe system employed to make sure the batteries are never completely drained. This should offer you a purely electric range of about 40 km (25 miles) according to BMW. Of course, that range will vary drastically, depending on traffic and your driving style. During our time with it we noticed that the differences can be extremely high. In heavy traffic, say the kind you’d find in LA, the range will drop to about half of what BMW claims. That’s also if you have a light foot. On the other hand, we also noticed that when the city you’re driving through is less crowded, you can actually reach 40 km (25 miles) on electricity alone and that has to be a first for mpg claims throughout the BMW range. So now you might be wondering why the Germans didn’t throw a bigger battery inside to make sure you can drive in EV mode for longer. Well, a couple of reasons actually. Back before the i3 was launched, the i division performed an experiment, asking volunteers (who eventually ended up being called Electronauts) to drive around in electric MINIs and 1 Series, to see how long a daily commute typically is. Their research found that most of the time, the daily commute would be around 20 km (12.5 miles). Therefore, all plug-in hybrids launched are aiming at offering that kind of range in real life, to allow you to do your daily chores on electric power alone while also avoiding creating a considerably heavier car than it has to be. Saving weight is not only essential to make sure you don’t burn a lot of petrol when the car is running its internal combustion unit but also for its driving dynamics. After all, this is a BMW and this sort of thing matters, unlike the Nissan Leaf or Toyota Prius. And we have to admit that we were rather impressed. 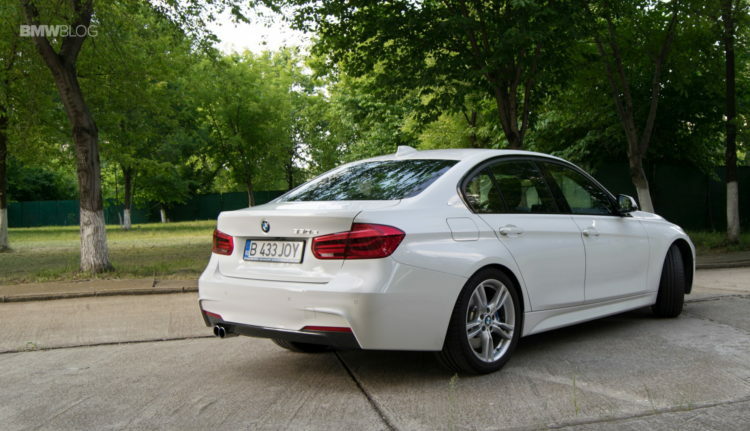 Our tester was dressed in Alpine White and wearing the M Sport package. At first, you might think that getting the sportiest look for the only plug-in hybrid in the range might be a bit of a peculiar choice but it somehow worked. From the outside you can’t really tell the difference between a normal 3 Series and the 330e. Only small details will give it away. Apart from the badge on the boot (which you can have removed) people on the street will be able to tell your car is special by the i blue details thrown here and there, the eDrive badge on the C-Pillar as well as the ‘extra fuel cap’ on the front left fender. Other than that, the 330e looks like every other 3 Series out there. Step inside the cabin and the same story applies. There are only three items that give the car away: the fuel cap release button, the eDrive driving mode button and the electric range indicator in the instrument panel. The last one is only noticeable when the car is turned on or recharging while the first one was put in place to allow the car to depressurize the fuel tank before you want to refuel, to avoid any dangerous situation. As for the eDrive button, this is where the magic happens. Apart from the normal driving modes we’ve been getting used to in every BMW out there today (Eco Pro, Comfort and Sport), on the 330e you also get another three settings that dictate how the hybrid powertrain works. These are only focused on the synergy between the internal combustion engine and the electric motor. The cars starts up in Auto eDrive mode which means that it will automatically handle the system using a plethora of sensors. For example, it will use the navigation system when you’re driving to some far away destination and it will use the most appropriate power source to get there as efficiently as possible. In general, it works rather well and we noticed that the best fuel consumption figure outside of town is achieved using Comfort mode coupled with Auto eDrive. This way, we noticed an average fuel consumption of 6.4 l/100 km (36.7 mpg) which is more than acceptable considering that the car had 4 passengers and the average speed was about 70 mph. We also noticed that in Auto eDrive mode, the car will start recharging its battery pack once the power reserve reaches around 7-8 percent. This way, whenever you’re slowing down the regenerative brakes work hard to recuperate as much energy as possible while sometimes even the engine is used as a generator to recharge the batteries. Most of the time, the power level will reach 15% outside of town and the car will try to keep that minimum intact for as long as possible. The value will drop occasionally but the system is created in such a way that it will bounce back in no time. 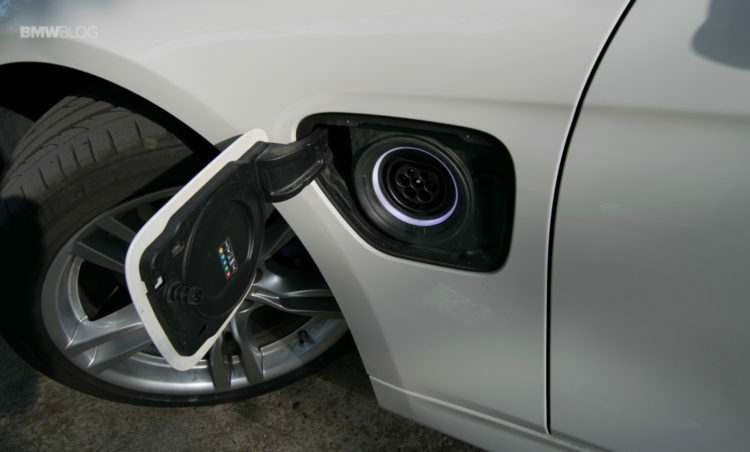 As a matter of fact, you can recharge the car’s battery up to 80 percent in a couple of ways. The Save Battery mode will help out in this regard, being setup to stop using battery power altogether and use the internal combustion engine up front as a sort of generator, to get the battery level up to as much as 50 percent. After that threshold is reached, the car’s systems will keep it at that for as long as you drive in Save Battery mode. Going up to 80 percent will require using the Sport driving mode. Engaging it will activate all the regenerative systems on board, recuperating as much power as possible from braking and other sources. Furthermore, it will use the 2-liter engine under the hood at its maximum, saving power consumption from the battery. While driving around town using this method of recharging, we noticed that about 15% of the charge was recuperated in only 6 miles, showing just how easy you can get some extra electrons stored in the batteries. Then there’s the Max eDrive mode. Using it will make sure that you rely only on the battery pack for as long as possible. 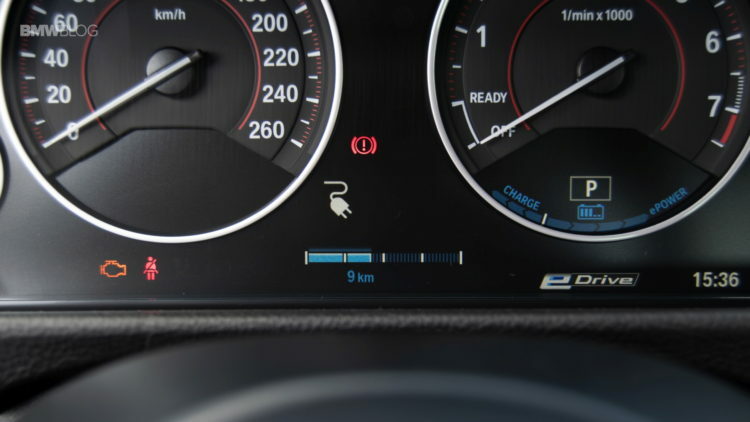 This means that the car will run on electricity no matter how hard you press the acceleration pedal (excluding kick down) and at speeds up to 72 mph (120 km/h). And while you may think that 88 HP are not enough for a car that tips the scale at over 1.7 tons you’d be wrong. As a matter of fact, it felt quite lively, especially at speeds up to 50 km/h (30 mph). Most of the credit does go to the instant 250 Nm (184 lb-ft) of torque that give you a rather interesting sensation. However, when you go in full attack mode, the 330e can handle itself extremely well. Enter Sport mode and keep things in Auto eDrive and you’ll learn what benefits the electric motor brings to the table in no time. Turbo lag is, as you’d expect, almost non-existent and that’s the first thing that hits you. To be fair, some turbo lag still exists but you don’t feel it anymore due to the boost you get from the electric motor. Furthermore, the 450 Nm (332 lb-ft) of torque and 252 HP proved to be more than enough for some spirited driving sessions that showed us why this car is worthy of the BMW badge. The extra weight can be felt in tight corners but due to its location, on top of the rear axle, it’s not bothersome at all. As a matter of fact, it seemed to help, keeping the car planted most of the time, better than you’d think. No matter the driving mode, though, some things don’t change. These include the steering (which is numb and extremely light, no matter what you do) and the brakes. The latter lacked any sort of feedback and that wasn’t the only disturbing part. The initial bite was pretty harsh, unexpectedly so, to be honest. Furthermore, as you keep on pressing on them, say trying to slow down from higher speeds, they seemed to fade away, giving you a rather uneasy feeling that you may not stop in time. We do understand though that this must’ve been a compromise solution to recuperate as much energy as possible. On the highway, the car handles itself really nicely. Everything is quiet inside and well damped, while the special setup the 330e received makes sure you save as much fuel as possible. In this regard, it should be noted that coasting is available at speeds up to 160 km/h (100 mph) not only disengaging the engine from the gearbox but actually turning the engine off altogether. On the other hand, around town, all departures are done in electric mode, the motor being used as a sort of starter to save fuel. 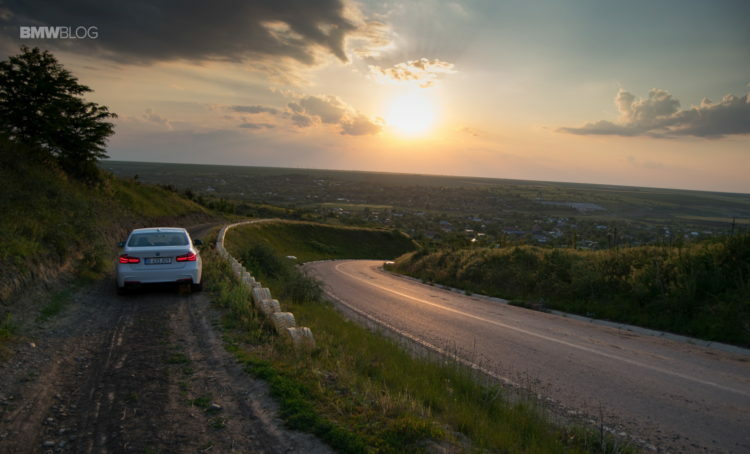 Since the petrol engine starts seamlessly, we found the silence of the whole experience quite refreshing. As for the fuel consumption recorded around town, we can’t really tell you any mpg figures. That’s because we drove in EV mode most of the time. Recharging the car takes between 3.5 hours at a normal 220V (European) socket and 2 hours using a 3.7 kWh recharging station (that’s the maximum rate you can use for the 330e). Since our trips around town were rather short, we never had to wait more than 1.5 hours to recharge the battery up to over 80 percent which is enough for your commute. 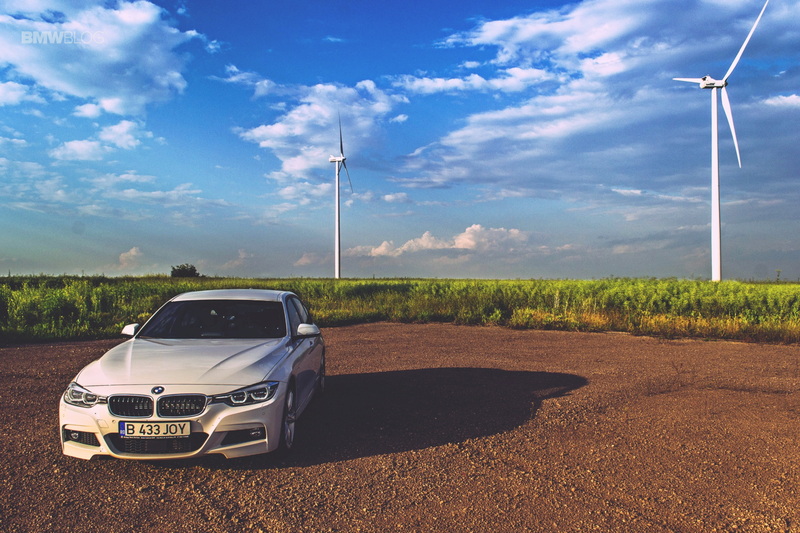 Another advantage of the 330e is that while the car is charging, you can preheat it or cool it down, depending on your needs, so that when you decide to set off, you are welcomed by the perfect temperature you may desire. To be fair, recharging times are the only flaw we found during our time with the 330e. Having to recharge it for over 2 hours for a range of just 20 km (12.5 miles) in heavy traffic does seem like a lot. However, on normal day to day usage, that was not as big of a nuisance as you may think. If you’re lucky enough to have the possibility of charging your car at home and at work, this is a non-problem. 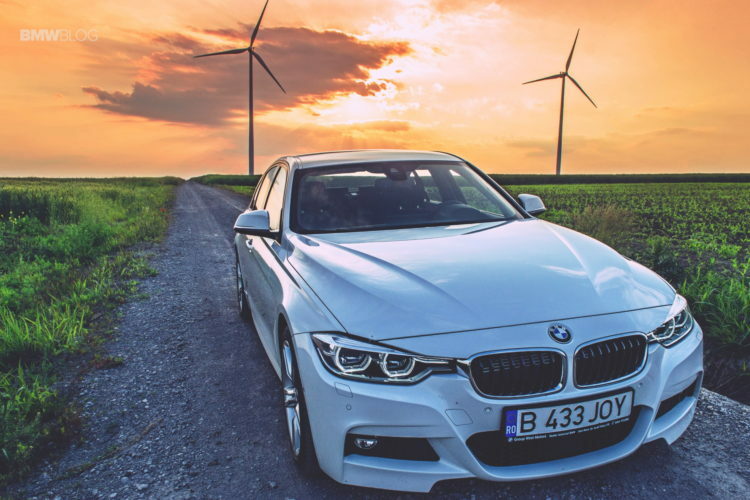 Getting to and from work on electricity alone will be easily achievable while going for longer trips will not be an issue due to the internal combustion engine. What we have here then is a winner in our book. That’s not only because the 330e iPerformance can be used as a daily driven EV but also because when you want it to be, it turns into a proper BMW with the dynamics and grunt you’re so familiar with. Even the sound the 2-liter 4-cylinder engine makes in Sport mode makes you forget that you’re actually driving a hybrid. 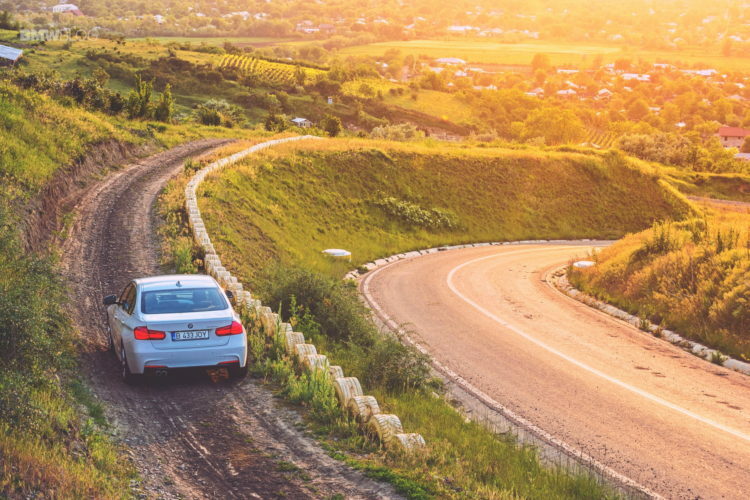 Chip in the instant torque and the great balance of the car and this eco-friendly car will become your best friend even on curvy mountain roads. The 330e iPerformance can be used as a daily driven EV but also, when you want it to be, it turns into a proper BMW.